If you were there, you know... if you weren't, now is your chance to experience the party everyone is talking about... it's time for an ENCORE! 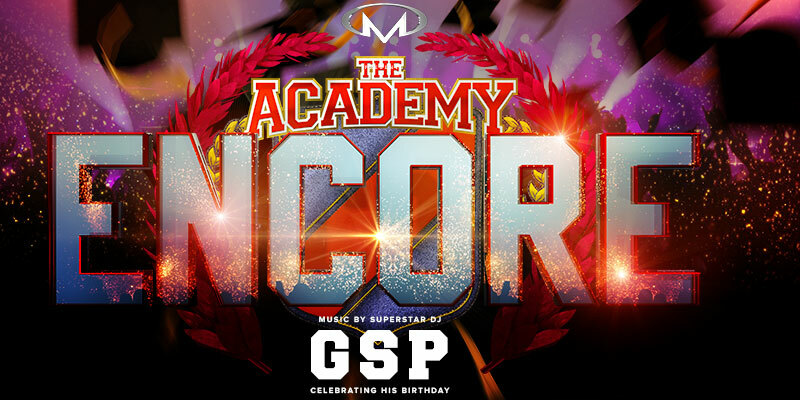 After the rave reviews of Academy Closing Party during Masterbeat's Class of 2019 s in Los Angeles at the all new Academy, we're bringing it back with International Superstar DJ GSP on President's Day weekend in Los Angeles for the return of our infamous NOT MY PRESIDENTS WEEKEND. Join us in celebrating the holiday AND GSP's birthday! Don't miss your second chance to visit one of our exclusive venues: the spectacular multi million dollar renovated Academy in Hollywood, home to American Idol! © 2019 ShowClix on behalf of Masterbeat. All sales are final. Tickets are non-refundable.